Aggregates, on matrix, of well developed lenticular Devilline crystals with a deep and uniform green color. A World classic. 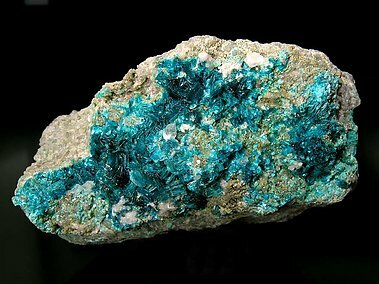 Group of laminar crystals of extraordinarily deep bluish-green color, on matrix. The specimen, that was acquired in 1956 is with a label from Peter Indergant (numb. 1817) in which the species appears as Herrengrundite, a name actually now obsolete and that refers to its previous name, from Herregrund, its locality of origin. Excellent miniature with very definite groups of crystals on matrix. 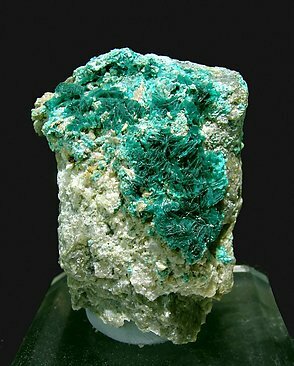 Crystals are laminar and of a very good color and considerable size for this species. 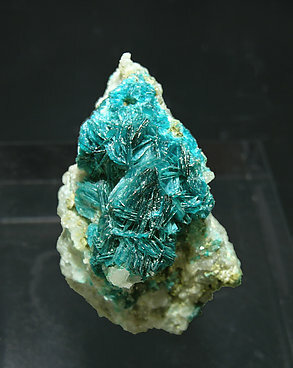 Excellent specimen with very definite groups of crystals on matrix. 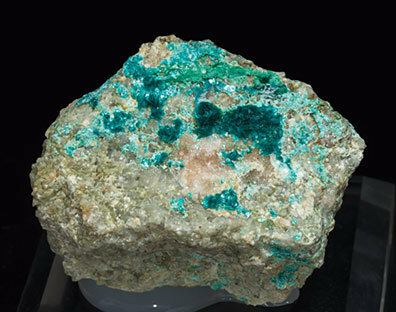 Crystals are laminar and of a very good color and considerable size for this species.